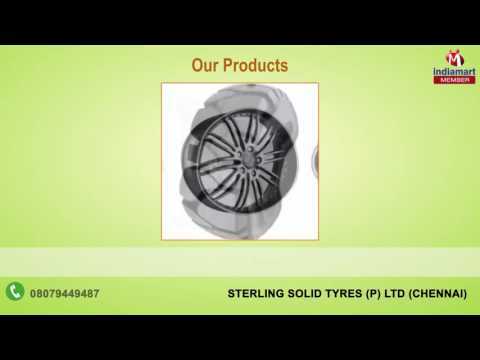 Established in the year 1996, we, %u201CSterling Solid Tyres (P) Ltd%u201D, are an ISO 9001:2008 certified manufacturer, trader, exporter and supplier of a comprehensive range of Rubber Tyre, Solid Tyre, Press On Tyre and many more. Located at Pudukkottai in Tamil Nadu, (India), we are one of the trusted firms maintaining consistency in delivering quality components. We ensure that products offered by us are made from best quality material sourced from reliable vendors. These products stand on quality parameters and are known for the features such as durability, long service life and many more.